The consultation on the evaluation and review of the ePrivacy Directive was launched to gather input for the evaluation process in order to assess the current rules and to seek views on possible adaptations to the ePrivacy Directive in light of market and technological developments, with the objective of contributing to the Digital Single Market Strategy. The review of the ePrivacy Directive is one of the key initiatives proposed under the Digital Single Market (DSM) Strategy. It aims to reinforce trust and security in digital services in the EU; with a focus on ensuring a high level of protection for citizens and a level playing field for all market players. The review of the ePrivacy Directive will be preceded by a retrospective evaluation of the performances of the current legislation against criteria such as efficiency, effectiveness and EU added value under the REFIT Programme (Regulatory Fitness and Performance Programme). The consultation gathered a total of 421 replies from stakeholders in all Member States as well as from stakeholders from outside the Union. 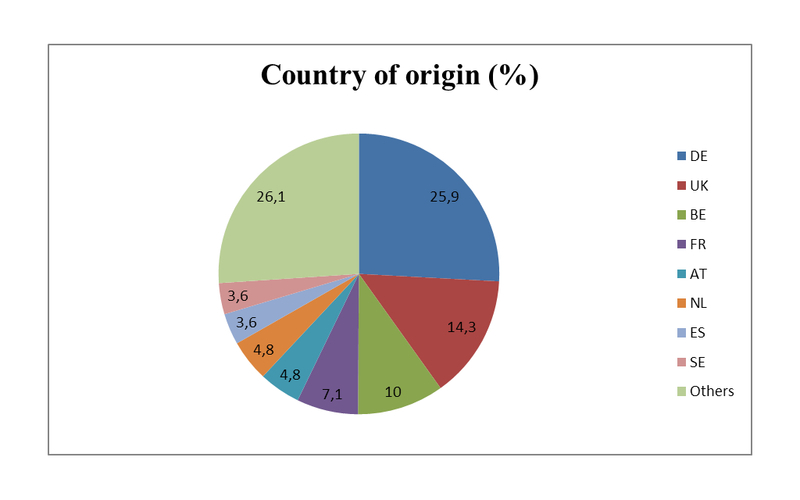 The largest number of responses came from Germany (25.9%), UK (14.3%), Belgium (10.0%) and France (7.1%). A large number of citizens (162) have actively responded to this consultation. 186 contributions were received from industry, coming from different categories such as electronic communications network providers, Internet content providers, trade associations and others. 40 public bodies, including the competent authorities which enforce the ePrivacy Directive at national level, have responded to the consultation and 33 contributions were received from civil society and consumer associations. Are special privacy rules for the electronic communications sector necessary? 83% of the responding citizens and civil society believe that there is a clear added value in having special rules for the electronic communications sector to ensure the confidentiality of electronic communications, which is a basic element underpinning trust in technological developments and the digital society and economy.73% believe this is the case also for traffic and location data. They also support the need for special rules on billing, calling and connected line identification, automatic call forwarding and directories, but these areas seem to be less essential to them than the other areas mentioned. Industry responses were much more sceptical on the need for special rules; 31% see a need for rules on confidentiality and 26% see a need for rules on traffic data. Almost all public authorities responding to the consultation see the need for special rules in all of the areas listed. Has the current Directive achieved its objectives? compliance and enforcement are low. Citizens and civil society organisations are also divided on the question of whether the ePrivacy Directive has achieved its objectives of ensuring free movement of personal data, equipment and services in the EU. In general, industry is more positive that the ePrivacy Directive has achieved its objectives, public authorities are even more positive. Should a new instrument cover new communication services (instant messaging, VoIP)? 76% of citizens and civil society believe that the scope of the rules should be broadened to cover the so-called over-the-top service providers (OTT) when they offer communications services such as VoIP or instant messaging. 43% of respondents from industry also believe that the rules should be extended, 42% of the industry are against extension, while 15% do not have an opinion. 93% of public authorities believe that some or all of the provisions should be broadened to cover over-the-top players. Is there a need to allocate enforcement to one single authority? Which one? 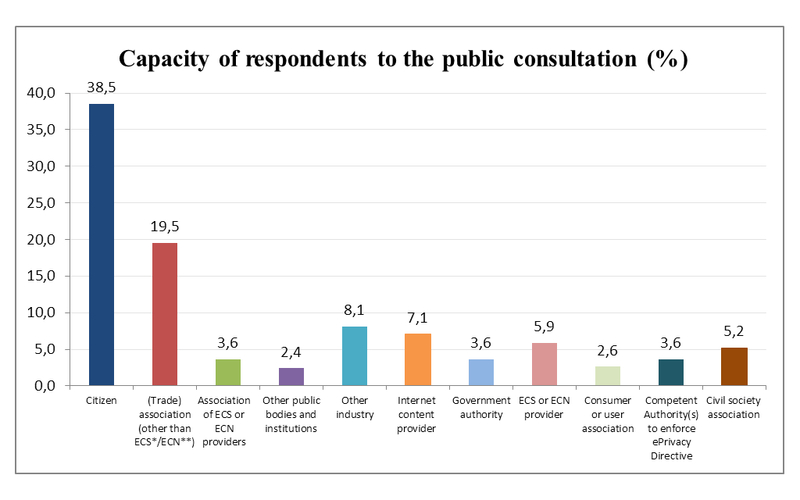 Close to 70% of the combined total responses from industry, citizens and civil society say that one single national authority should be entrusted to enforce the rules, while half of the public bodies who responded to the consultation are not convinced that this is needed. For respondents who consider that one single authority should enforce ePrivacy rules, a majority, across all categories, find that the national data protection authority is the best suited authority. 77% of citizens and civil society and 70% of public authorities believe that information service providers should not have the right to prevent access to their services if users refuse the storing of identifiers, such as cookies, in their terminal equipment. Three quarters of industry on the other hand disagree with this statement. Opt-in or opt-out for direct marketing calls? All groups of respondents agree that Member States should not retain the possibility to choose between a prior consent (opt-in) and a right to object (opt-out) regime for direct marketing calls to citizens. The stakeholder groups are however split on which regime should apply: close to 90% of citizens, civil society and public authorities favour an opt-in regime whereas 73% of industry favour an opt-out regime. The contributions received cannot be regarded as the official position of the Commission and its services and thus neither the responses nor this summary binds the Commission. The Commission is now carrying out an in-depth analysis of the replies to the public consultation. The full synopsis report will be published in autumn 2016. The results will feed into the design and the implementation of EU policy and prepare for the REFIT evaluation and review of the ePrivacy Directive.